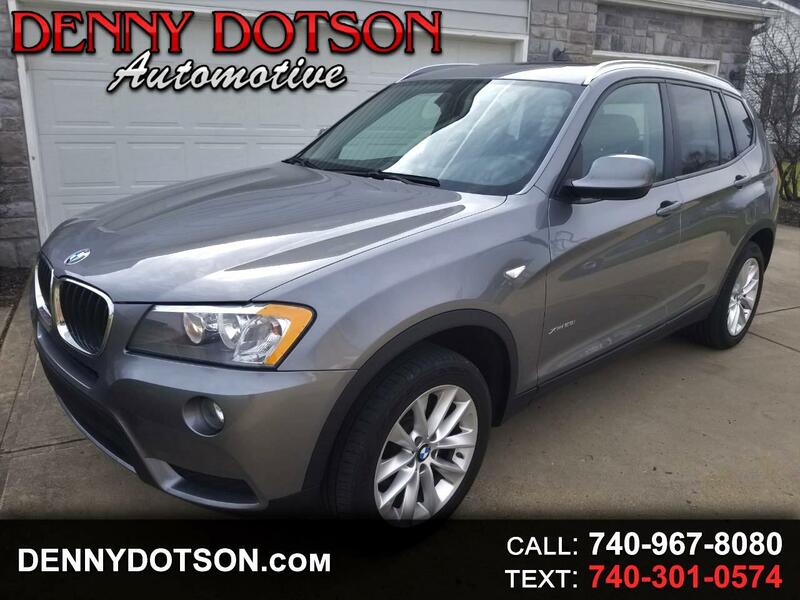 Used 2013 BMW X3 AWD 4dr xDrive28i for Sale in Johnstown OH 43031 Denny Dotson Automotive Inc.
2013 BMW X3 xDrive 2.8i. Space Gray Metallic over Black Leather. Clean history with no accidents or damage reported. Well optioned with Cold Weather Package(heated seats, split fold down rear seat, heated steering wheel), Premium Package(ambient lighting, auto dimming rearview mirror, auto dimming mirrors, panoramic moonroof, storage package, lumbar support, universal garage door opener). Dynamic cruise control, Power Tailgate, Rain Sensing Wipers/Automatic Headlight Control, 3-Spoke Leather Wrapped Multi-Function Sport Steering Wheel, and Bluetooth Wireless Communication.